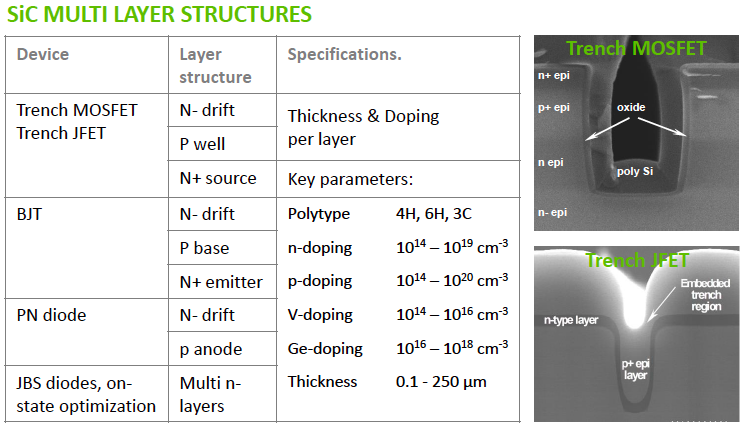 Ceramic Forum Co., Ltd, provides SiC Homoepitaxy Services for use on SiC substrates.Offering low to high concentration for both n-type and p-type, special specification epi for R&D, and epi specified for mass production.Our strength is our flexibility, we are ready to respond to our customer's requests for special specifications, we will make it happen even if other manufacturers cannot. Our epi suppliers, both Ascatron and Norstel AB, are capable of supplying a wide range of specifications, from epi for mass production to R&D applications. To provide a complete offering in Epitaxy, Norstel AB and Ascatron are sharing their respective expertise. Ascatron has developed 3DSiC method for epitaxy growth. Ascatron (Sweden) is an SiC-specified foundry founded in 2011 able to process SiC from epitaxy to device design and packaging. A spin-off venture from Swedish national research institute ACREO, Ascatron is still located at the same research institution and conducts R&D for SiC since 1993. 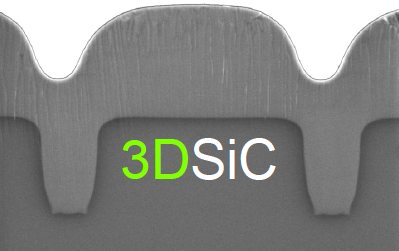 Due to unique expertise based on development results, Ascatron provides 3D SiC epitaxial structure, device design, process technology etc. as well as know-how and technology only available from their company. A spin-off venture from Sweden's Linkoping University, with a history of high achievement in SiC research. Currently, the largest Epi service provider in Europe.Started in 1993, based on joint SiC research from Sweden's Linkoping University and ABB Ltd., Norstel AB continued under the umbrella of Finland's Si wafer maker, Okmetic, until independence in 2005.In addition to the SiC epi furnaces for mass production and the single wafer epi furnace for R&D, Norstel AB has built a system for mass production supported by a great deal of evaluation equipment.